CibaVision have rebranded to Alcon. The product remains the same but please note that the packaging may vary. 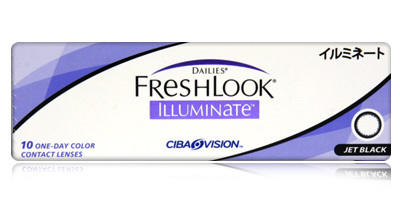 Made by optical technology pioneers Ciba Vision, Freshlook Illuminate Contact Lenses combine cutting-edge design with superior comfort, visual acuity and eye health benefits. Particularly well suited to Asian wearers and those with very dark eyes, they feature 2nd generation starburst print, which is a special double layer print technology developed especially for brown and black hues. The print matches naturally dark shades, reflects light and adds a natural-looking coloured ring to the iris, making eyes appear larger and broader. As the name indicates, these daily disposable lenses have been designed to embolden and illuminate dark eyes. They won’t change the colour completely. It’s all about enhancing natural colours through greater depth and illumination. Freshlook Illuminate lenses look so natural that the only you will know you’re wearing them. 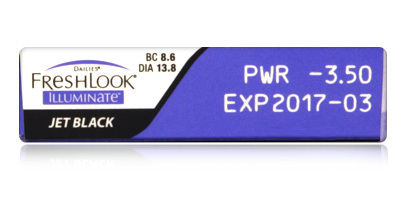 Freshlook Illuminate Contact Lenses have a higher water content than standard lenses. A high water content means better breathability, as more oxygen is able to filter through the lens to the cornea. Eyes remain free from the adverse effects of oxygen starvation, like dryness, grittiness and blurriness. 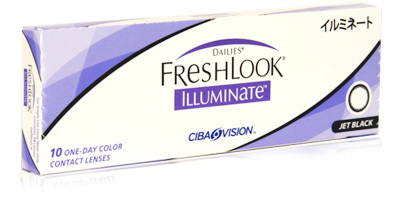 Available in powers from -0.50 to -8.00, Freshlook Illuminate Contact Lenses are ideal for the short-sighted wearer. Each box contains 10 coloured contact lenses. As these are daily disposable lenses, you don’t have to be bothered with cumbersome and time-consuming cleaning and storage requirements. Just dispose of them on removal. 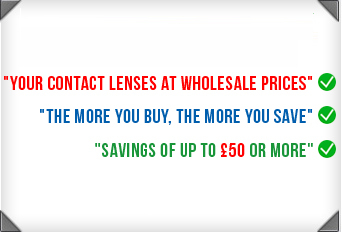 Call our knowledgeable team on 0800 037 400 for more information and advice on different types of contact lenses. We offer express shipping and strive to despatch all orders the same day.